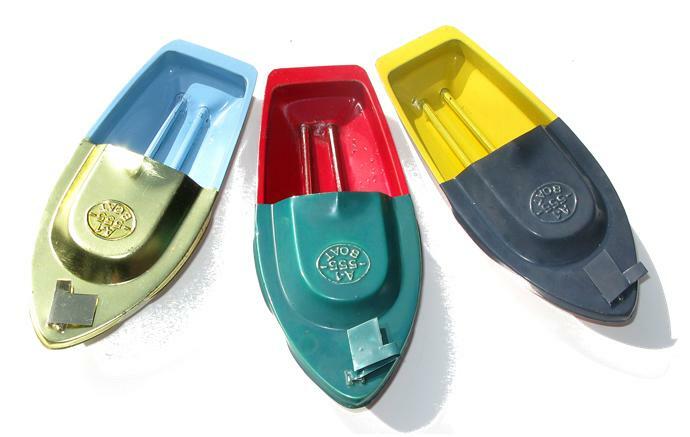 "Welby" Avon 555 Pop Pop Boat - Set of Three. These boats are mixed colours (hull, deck and interior) and too varied to specify exact colours available. We will send you three different coloured boats, but they will vary from those shown above. The flag on the front deck is folded down in the images. Once unpacked, you can straighten up the flag to it's correct position. All Welby boats are individually boxed in their original Welby packaging.